Limited edition of only 395 hand-numbered pieces! Lithograph print measures 24-inches tall x 18-inches wide. 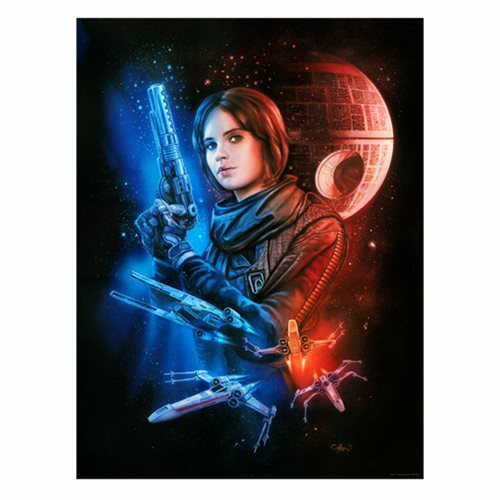 Interpretive artwork inspired by Rogue One: A Star Wars Story featuring Jyn Erso. This captivating Star Wars Mission for Hope by Claudio Aboy Lithograph Art Print is a limited edition of only 395 hand-numbered pieces. The marvelous unframed lithograph measures about 24-inches tall x 18-inches wide and comes with a certificate of authenticity.